Apple has started rolling out one of the biggest updates to its mobile platform. 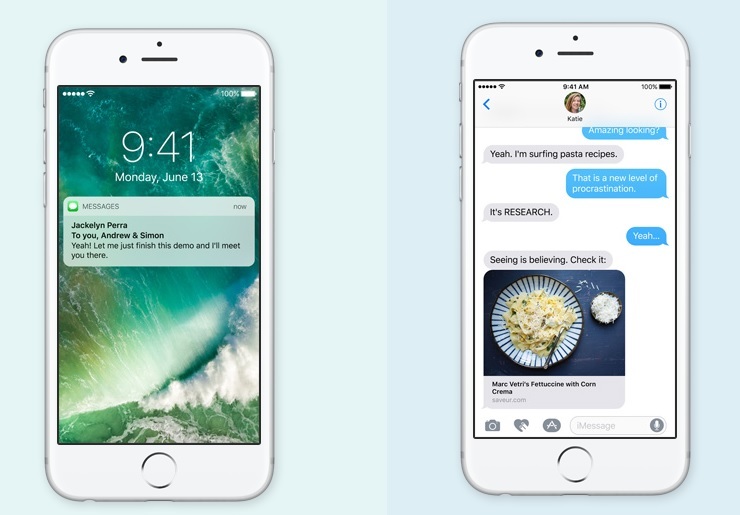 iOS 10 brings with it several new features including a redesigned lockscreen, deeper Siri Integration as well as better 3D Touch integration. The company is also bringing Universal Clipboard to the iPhone. If you have iOS 10 on your iPhone, iPad you can copy text, images, videos, links between your Mac and phone. A Lift to Wake feature has also been added which wakes up the display as soon as you pick it up. The Messages app has also received a complete overhaul with support for third party plugins. Devs will now be able to integrate iMessage Apps into the Apple Messages app which would allow for more stickers to eventually paying your friends through Square cash. These apps can be accessed by swiping from right to bring up the app drawer. Another great addition is rich links, which automatically embeds, audio & video content and can be played directly within the app. The new Messages app also lets you emojify words with just a tap. But it's not just about messaging. Your iPhone will now sync with Apple TV, meaning both will run the same apps allowing you to control your TV with the Apple Remote App. The redesigned lockscreen also allows quick reply to notifications using 3D Touch and you can now have widgets in the Today view. You also get access to the camera by swiping right on the lockscreen.